« Are you skilled in the dark art of Social Media? Having visited several American cities in recent weeks, and talked to public servants, business leaders, community activists and academics about current urban stresses and strains, it is difficult not to conclude that US cities face deeply troubling challenges. The riots in West Baltimore on 25 April 2015 are only the most recent in a long line of outbreaks of urban violence suggesting that all is not well in US cities. On this occasion the protests and mayhem erupted after Freddie Gray, an African-American man, died in police custody as a result of a spinal cord injury. On 1 May 2015 the Baltimore City State’s Attorney Office filed charges against six police officers after a medical examiner ruled that Gray’s death was a homicide. This was not before urban disturbances, mainly in the Sandtown-Winchester area of the city, led to violent confrontations with the police. Mayor Stephanie Rawlings-Blake declared a curfew and called in the Maryland National Guard. Governor Larry Hogan sent in 500 state troopers and 34 arrests were made. In some ways recent events in Baltimore resemble the trajectory of events that took place in Ferguson, a small suburb of St Louis, Missouri, in August last year. Michael Brown, a young African-American man, was shot dead by police on 9 August 2014. The killing sparked several days of protests that morphed into violence and looting. On 14 August President Obama called for transparency in the investigations into the death of the unarmed black teenager. When I visited St Louis in April I was honoured to share a platform with the Rev. Starsky Wilson. 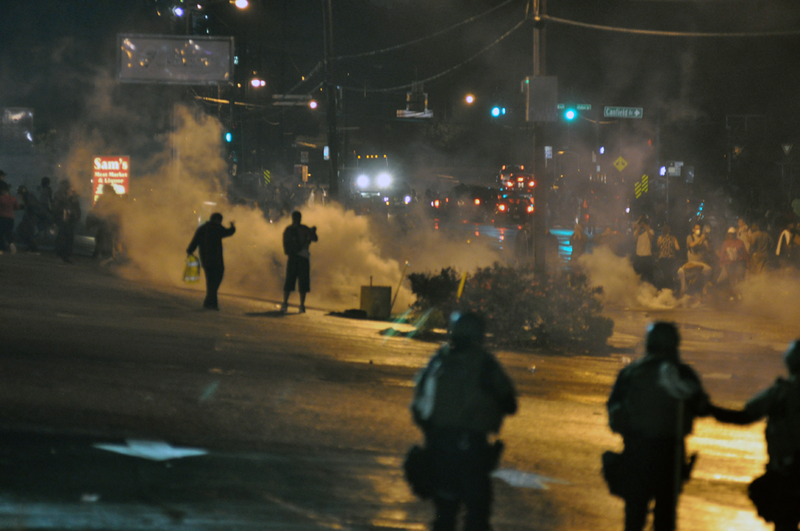 Last year Missouri Governor Jay Nixon appointed him to co-chair the Ferguson Commission to study the underlying challenges facing the people of Ferguson, and to make policy recommendations to help the region address the causes of the urban riots. In his presentation to the St Louis Metropolitan Exchange on 22 April 2015 he stressed three points: 1) It is important to focus on strengthening neighbourhood leadership, 2) Children matter – it is their experiences we should concentrate on, and 3) Equity in the city is critical – wider forces are creating unequal cities and city regions and this trend needs to be reversed. The Commission is currently gathering evidence and has more work to do before it reaches any conclusions. But Rev. Wilson’s initial comments are well considered. Urban riots are not, of course, restricted to the USA. There have, for example, been two major outbreaks of civil unrest near where I live in Bristol. The first major disturbances, on 3 April 1980, heralded an English ‘summer of discontent’. In 1981 urban unrest broke out in a number of inner city areas – in, for example, Brixton, Southall, Toxteth and Moss Side. 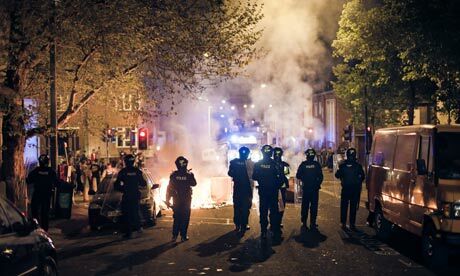 The second major urban riot in Bristol took place on 21 April 2011. In August that year UK television screens were, once again, filled with disturbing pictures of disorder, looting and violence – this time not just in a string of big cities, but also in smaller towns like Croydon. The precise causes of these episodes of social breakdown are complex and we should guard against generalising too freely. However, we can say with some confidence that the following factors appeared to play a part in sparking the outbreaks of civil unrest in Baltimore, Ferguson and Bristol: insensitive, if not negligent, approaches to policing; racial discrimination and social deprivation; a lack of opportunities for young people; and a widespread sense of hopelessness. But to understand the social tensions that underpin urban flare-ups we have to dig deeper. As in many other US cities, the problems now confronting St Louis stem in large part from government policies, not racial prejudice by individuals. Over a period of more than seventy years urban zoning policies, coupled with fragmented governance arrangements – there are over ninety municipalities in the St Louis metropolis – have led to the creation of a highly segregated metropolis. The Federal Housing Administration (FHA), established during the New Deal era back in the 1930s, boosted the process of discrimination. It rendered black neighbourhoods ineligible for mortgage insurance and implemented, in effect, a suburban ‘whites-only’ policy right up until the mid-1960s. At the St Louis Metropolitan Exchange, Leading the Inclusive City: Ideas for St Louis, I outlined a number of themes. In closing I highlighted three points that are, perhaps, relevant to other cities seeking to avoid urban strife. First, place-based leadership can make a major difference to the quality of life in an area. Encouraging and developing strong local government and socially aware, local leadership is critical. Second, effective civic leadership is multi-level. Those ‘at the top’ can set the tone but energetic local leadership is essential. In relation to Ferguson it seems clear that strategic action is needed at the state and metropolitan levels to rebalance opportunities in the city region. Improved public leadership is also needed at the municipal and neighbourhood levels. Third, international city-to-city learning can be very useful in challenging established assumptions and stimulating fresh thinking, including the creation of new policy options. Robin Hambleton is professor of city leadership, Centre for Sustainable Planning and Environments at the University of the West of England, Bristol. 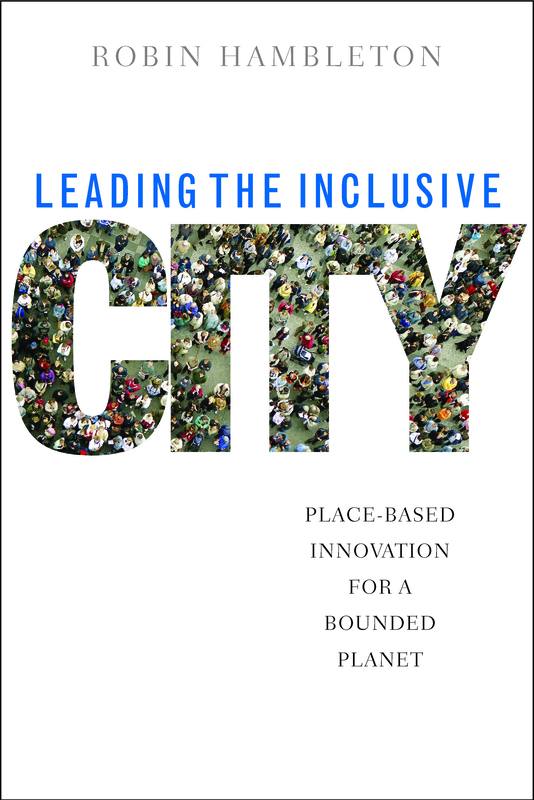 Robin Hambleton’s book, Leading the Inclusive City: Place-based innovation for a bounded planet, is available to buy from the Policy Press website.